RURAL RETREAT, Va. – Wythe County leaders spent Saturday afternoon honoring the county’s first responders. 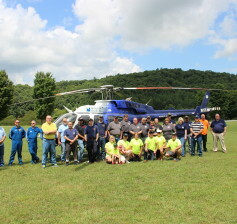 This year’s annual fire and rescue appreciation event was held at the Rural Retreat Lake Park and featured a catered meal, hundreds of dollars in door prizes and free helicopter rides, courtesy of Wings Air Rescue. Jeremy T.K. Farley, who serves as Wythe County’s spokesperson, said the event was a great success and thanked local businesses for sponsoring the festivities. “It wasn’t difficult finding sponsorship for this event. 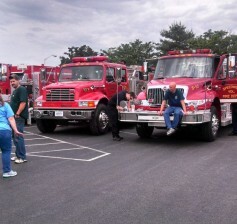 Everyone we spoke to was eager to show their appreciation for the county’s first responders. They do a great service for our community and today provided us an opportunity to showcase our gratitude,” said Farley. RURAL RETREAT, Va. – The Rural Retreat Lake Pool will be hosting its final pool party of the summer, Saturday, Aug. 30, showing the popular Disney movie, Frozen. 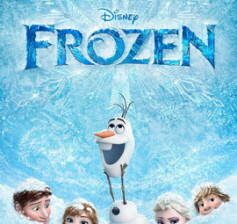 Gates at the pool will reopen at 8 p.m. and thirty minutes later the movie will be presented inside the pool area. “This year’s communitywide pool parties have been a great success and we’re pleased to be capping the series off with the movie Frozen,” said Kevin Williams, Wythe County’s Director of Parks & Recreation. Williams said that despite showing the movie “Frozen,” which features Elsa, the princess of Arendelle, who possesses cryokinetic powers to produce ice, frost, and snow at will, the pool will actually be very warm — thanks to the efforts of parks and recreation staff this week. 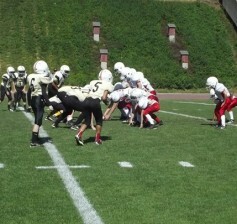 WYTHEVILLE, Va. – Wythe County will be hosting a free concussion education workshop for parents of youth football players next week, part of the county’s ongoing efforts aimed at making youth sports as safe as possible. The informational seminar, which will be held at Wytheville Community College (Grayson Hall – Room 219), is slated to begin at 7 p.m. on Monday, Aug. 25. Kevin Williams, Wythe County’s director of parks & recreation, says the free event is part of a greater countywide initiative intended to minimize concussions and their consequences. 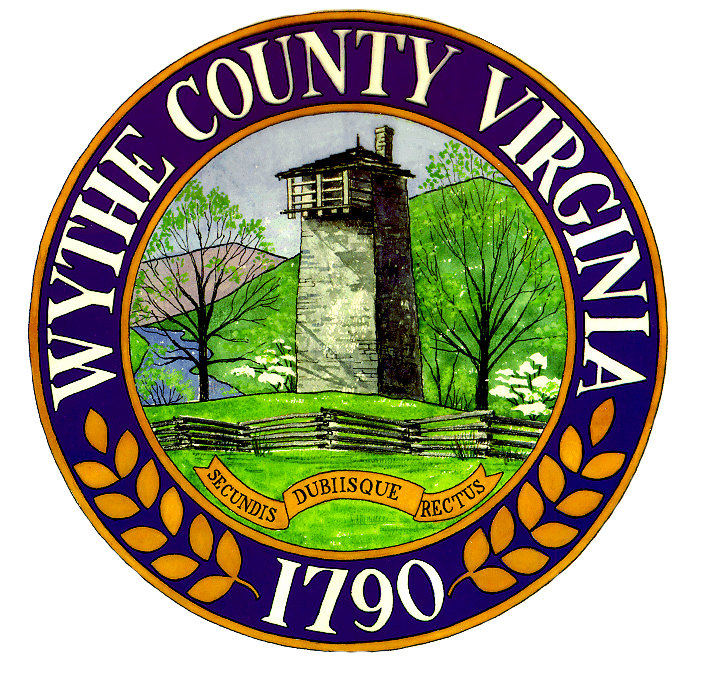 WYTHEVILLE, Va. – The Wythe County Board of Supervisors is hosting the second annual “Wythe County Fire and Rescue Appreciation Day,” next Saturday, Aug. 23. The event is open to the county’s fire and rescue responders, as well as emergency 911 dispatchers and their respective families. Slated to be held at the Rural Retreat Lake Park, the festivities will begin at noon and last until 4 p.m., with a catered meal around 1 p.m. Event organizers say they have been working tirelessly to ensure the appreciation day lives up to a standard worthy of the county’s first responders. “It’s going to be a fun day. The participation from local businesses has been nothing short of overwhelming,” said Ikey Davidson, Wythe County emergency manager. 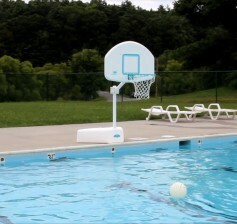 WYTHEVILLE, Va. – Wythe County Parks & Recreation Director Kevin Williams announced today that the Rural Retreat Lake Pool will be open – free of charge – to all local residents, Saturday, Aug. 23. Williams says the county will be hosting a fire and rescue appreciation day at the park for families of the county’s first responders. “None of us could ever adequately thank the first responders who serve our communities. We do hope, however, that by opening the county’s swimming pool up to the general public, free of charge, in their honor, we would at least be sending a message that we are aware of the work they do and appreciate it very much,” said Williams. The free swim day comes just one week before the pool’s close for the season, which is slated for Labor Day weekend. Tuesday, August 26th @ Scott Mem. SPEEDWELL, Va. – Wythe County officials have lifted the precautionary boil water notice for residents in southern Wythe County, after two separate tests revealed the water was safe for drinking. The boil water notice was issued on Monday – strictly as a precaution – following two waterline breaks in the community of Speedwell. Multiple tests on water samples, collected over a two-day period, were performed in order to ensure that no contaminants had entered the water system while lines were experiencing a loss in pressure. Eric R. Herold, district engineer for the Virginia Office of Drinking Water, notified county officials by email Thursday that test results indicated the water was safe for drinking. SPEEDWELL, Va. – Officials from the Wythe County Water Department detected a waterline break along Old Bank Rd. in Speedwell early this morning. A second break was discovered in the same area, along Grayson Tpk., shortly thereafter; believed to be a result of the abnormal pressures associated with the first break. County leaders say the waterline’s rupture was responsible for draining all the water in the reserve tank on Lanter Rd. Immediately upon learning of the break, crews went to work repairing the waterline on Grayson Tpk. At noon, the county’s water department said the Grayson Tpk. break had been fixed, but cautioned that water would not be restored to customers until the lines had been flushed – a process which may take several hours.